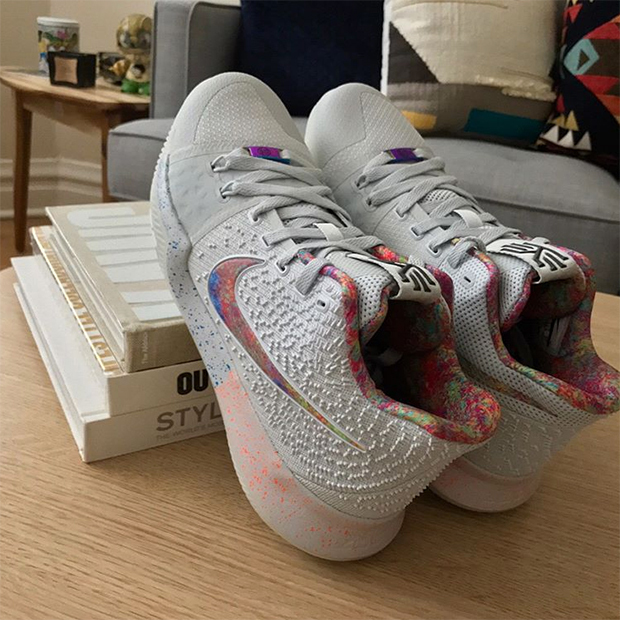 Kyrie Irving is one of the game’s most elite point guards Kyrie 3 and he’s offered up a head-turning exclusive to the players who got next as part of Nike Basketball’s Elite Youth Basketball League. 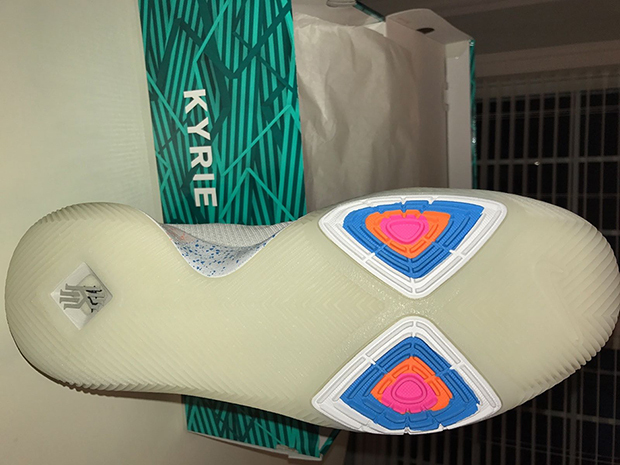 We saw a brief preview of the Kyrie 3 EYBL not too long ago, but today we get word that pairs are starting to appear on eBay in select sizes complete with style code info on the box. 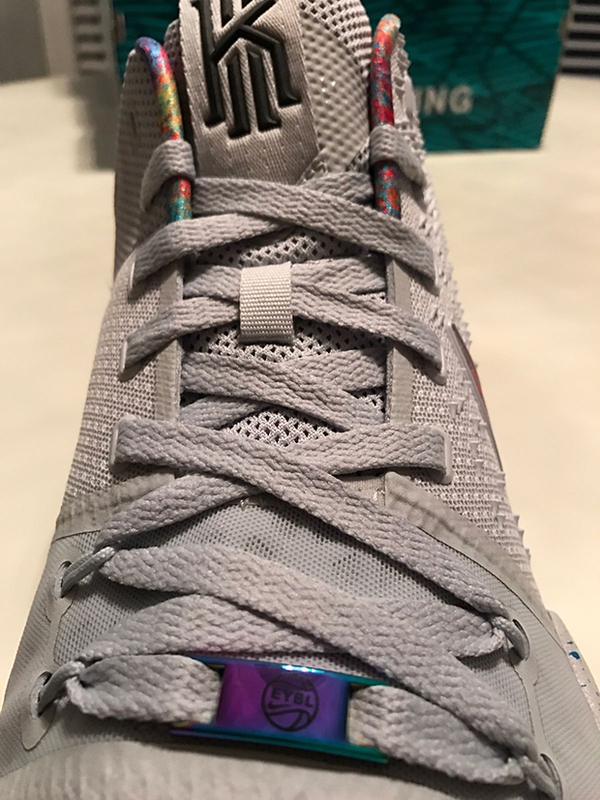 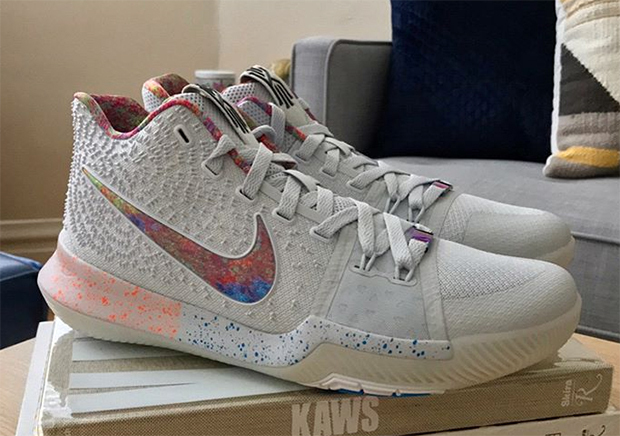 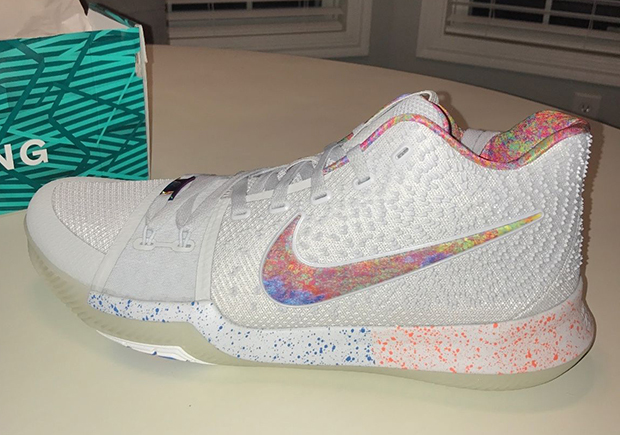 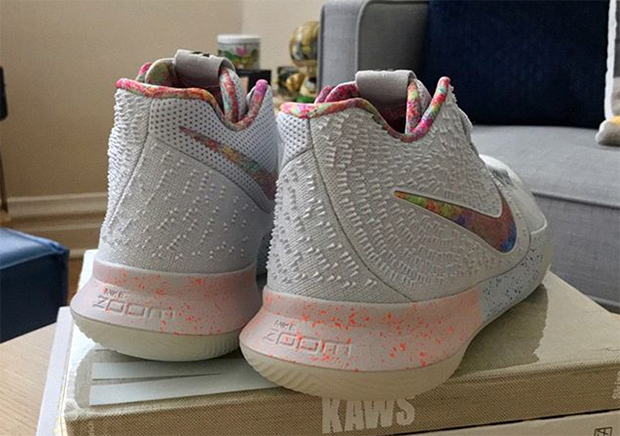 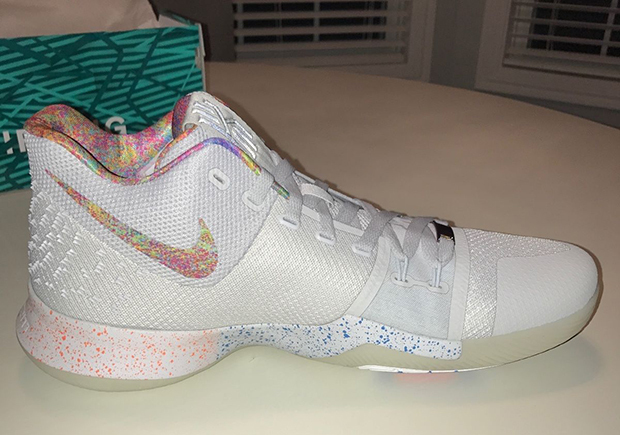 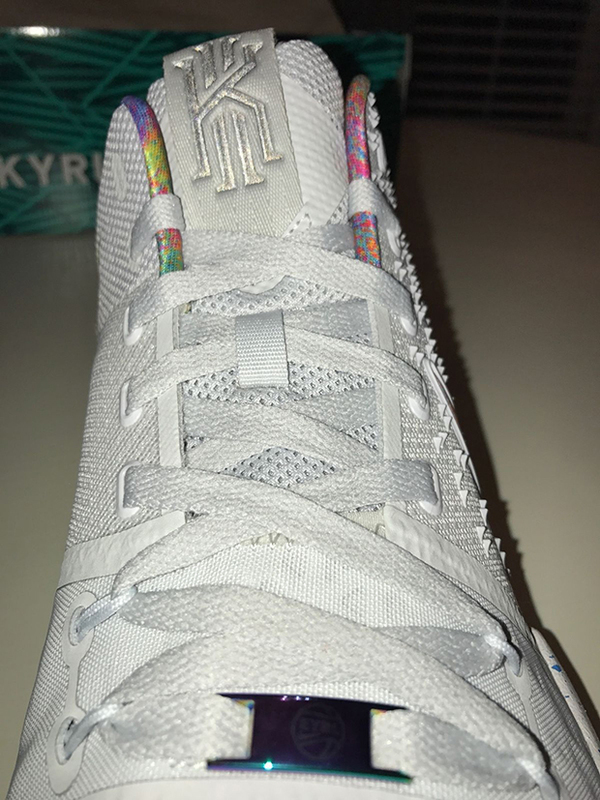 That doesn’t mean that the Nike Kyrie 3 EYBL will actually release though, as the Multi-Color option featuring an acrylic painted Swoosh to match the lining was only given out to players associated with EYBL throughout the US. 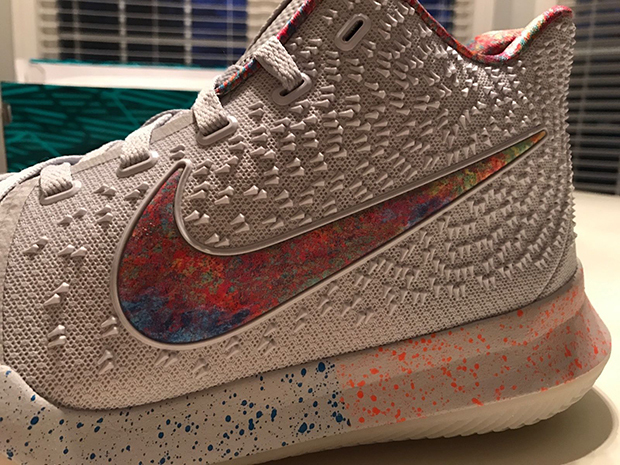 Check out more photos below and know that you can grab this pair right now on eBay.